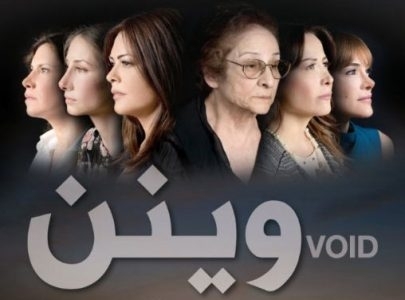 Lebanon has selected Void (Waynon) as its submission for the best foreign-language Oscar race. The film was written by Georges Khabbaz and directed by seven graduates from Notre Dame University outside of Beirut. The directors were Naji Bechara, Jad Beyrouthy, Zeina Makki, Tarek Korkomaz, Christelle Ighniades, Maria Abdel Karim and Salim Habr. The story revolves around six women who are still searching for loved ones who disappeared during the civil war that tore the country apart from 1975 until 1990. It is centered around events on the eve of a planned sit-in protest in Beirut’s Parliament Square, where the women petition the government to reopen the cases of the missing. Khabbaz also was the scriptwriter for Lebanon's Oscar submission last year, Ghadi, and starred in 2007’s Venice and Sundance festival entry Under the Bombs. It won the best screenplay, best ensemble cast and best actress prizes for Diamand Bou Abboudat the Lebanon Movie Awards in February, as well as the best feature and best actress honors at the country's Murex d'Or awards last year. Void premiered at the Dubai Film Festival in 2013 and won the best feature award at the Silk Road Film Festival in Dublin. The film was selected by the Lebanese Ministry of Culture.